Winter Training exclusively for Team Cape Cod Players is here!!! 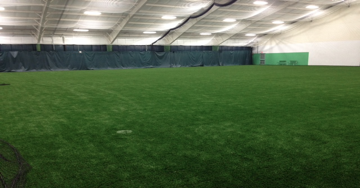 TJO Sports at Falmouth Sports Center is ready for TCC Winter Training. Come train with us at the best winter training facility on the Cape!!! Players on Team Cape Cod Fall 2015 teams - included with the fall 2015 TCC program, no additional cost!! Players will practice in FULL PADS including CLEATS!! on your game. This is a field, not a gym!! Again, this program is inclusive for those that participated in our Fall 2015 TCC Program. There is no additional charge for our Fall participants. Any player from our 2015 Summer TCC teams can join this program. Experienced players looking to join TCC can participate in this program.